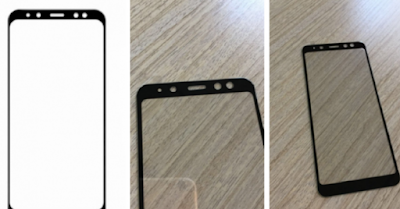 The front panel that is said to belong to the Galaxy A8 clearly displays the screen with a thin bezel. It is very similar to the upcoming Galaxy A series panel. It is also quite noticeable that the panel is not curved. Moreover, the top bezel there are two circular holes, where it indicates that this smartphone megusung dual-camera setup selfie. On the other hand, if Galaxy A7 (2018) does have dual-cameras, chances are this panel will be included in that device. Until now, there has been no indication of the existence of Galaxy A8 or A9 (2018). Based on that, we're not sure whether this panel belongs to Galaxy A7 / A5 or A8 (2018) devices. Given the end of the year is getting closer, we look forward to the next news.